Update! The free goodies that shipped with the first 600 orders are now gone. Thank you so much for all your enthusiasm about planning, and we can’t wait to see your planners in action! If you followed our wardrobe planning discussions on the blog last week, you know how excited we are to announce The Colette Sewing Planner! 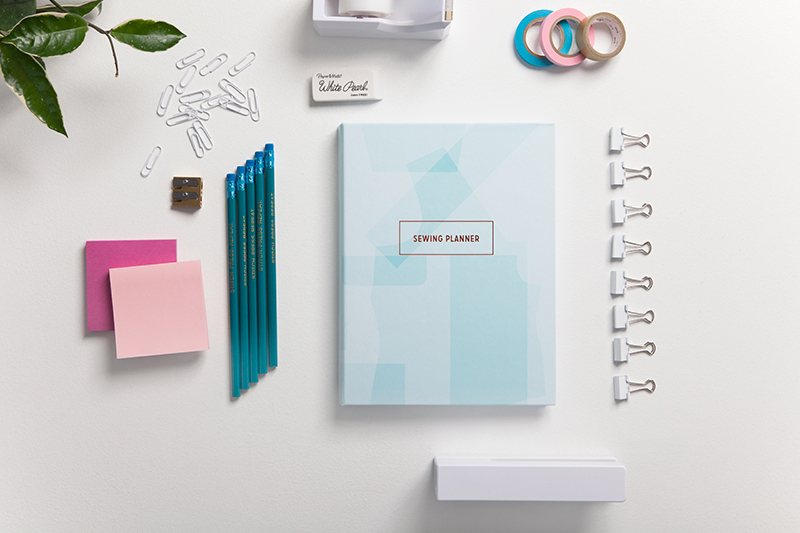 Organizing and managing your sewing projects can sometimes be a struggle, so we designed this planner to help you prioritize your project queue so you can focus on sewing. Have you ever planned a project—say a gorgeous lined wool coat—then by the time you got around to sewing it, it’s mid-February and the prime outerwear season is coming to a close? Or maybe you’re like me and get easily distracted by a new sewing pattern, and before you know it, your sewing queue is so long you hardly know where to start. 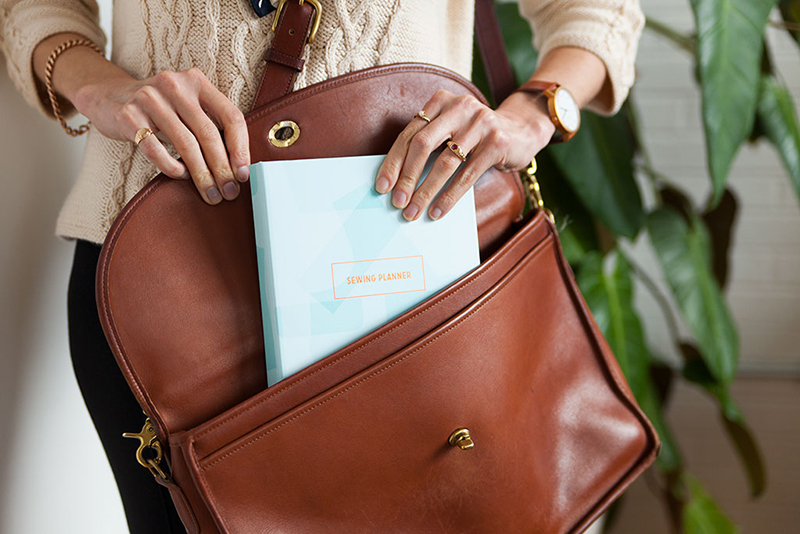 What sets this planner apart is its versatility. 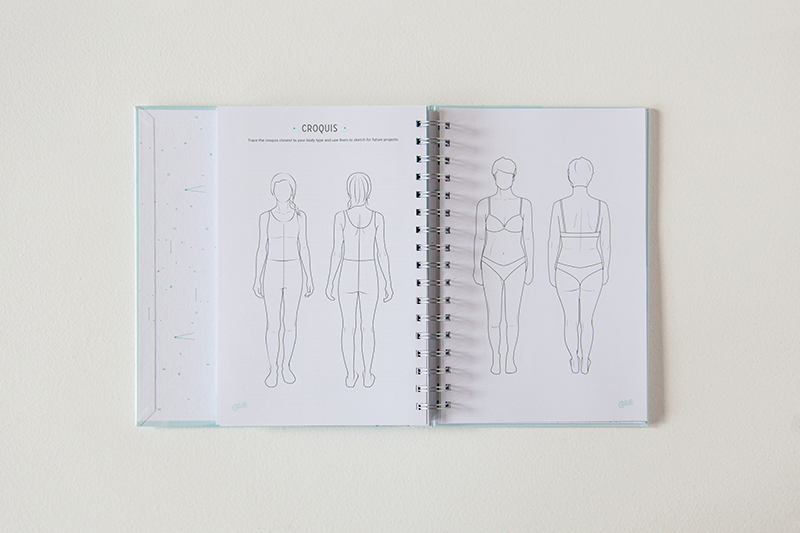 If you’re a visual person, sketch your sewing notes with the help of our croquis. If you prefer to take notes while you sew, then fill your book with fitting ideas that will help guide you with future projects. With 6 different sections to help you plan your wardrobe seasonally, the planner is designed to help you focus and document your sewing. Divided into Fall/Winter and Spring/Summer, you can plan 50 projects for the year. Start by answering questions about your style, favorite fabrics and silhouettes, and record your measurements so you can focus on sewing for the best fit. 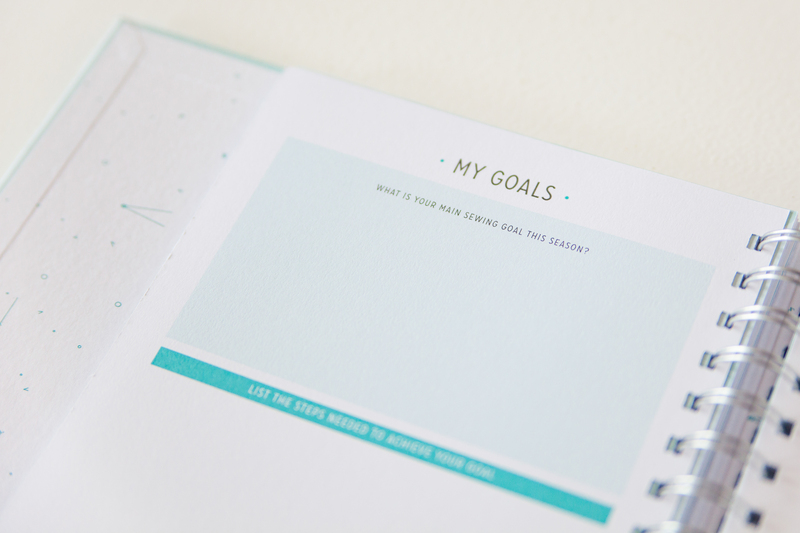 For each season, you’ll set a goal that will help you determine what projects to make and when. Have fun with this section! Make a moodboard, pick up some paint chips at the store, or do some sketching. Bring your planner to the fabric store! Measuring just over 7X9 inches, the planner is portable and includes spaces for swatches and pouches to carry your patterns and notions. 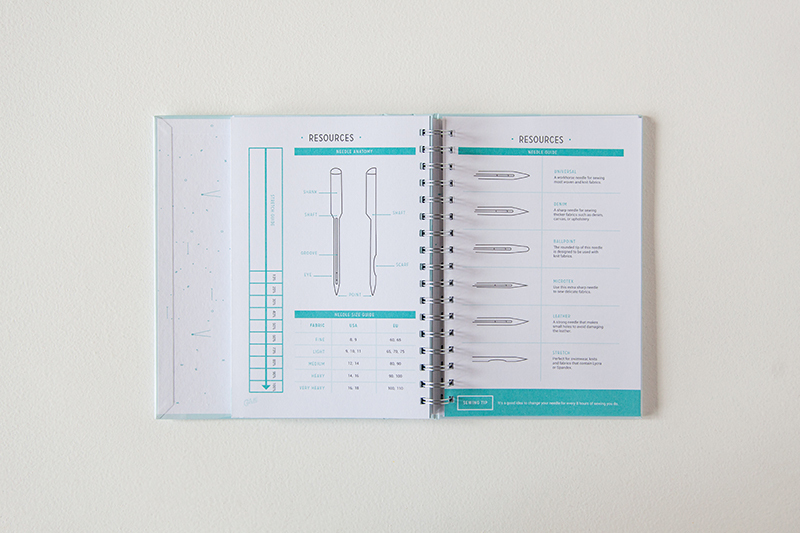 Resources at the back of the planner will help you buy the right needle, measure the right amount of fabric, and look up common sewing terms. Oh! Little sewing tips are also sprinkled across the pages! 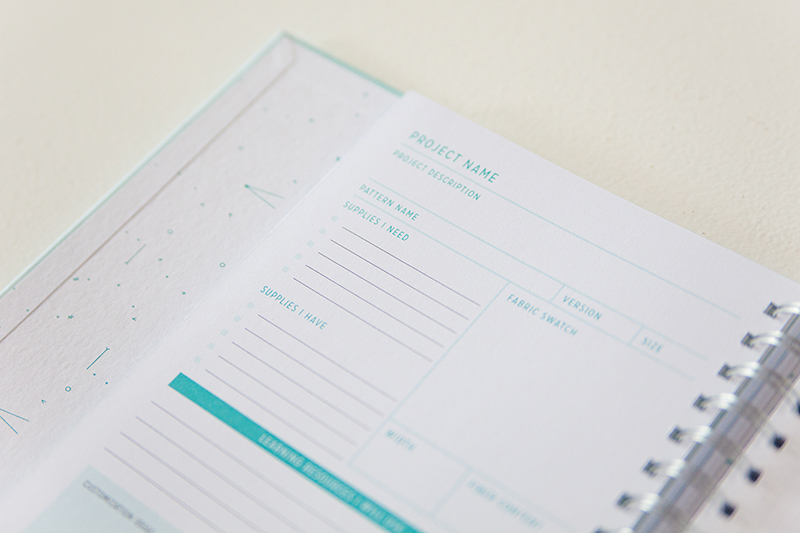 Each project page is full of helpful prompts so you can take fitting notes, make supply lists, and use one of our unique croquis located at the back of the planner to help you create sketches that are representative of your unique curves. Even if you’re not an artist, they will help you visualize your project! 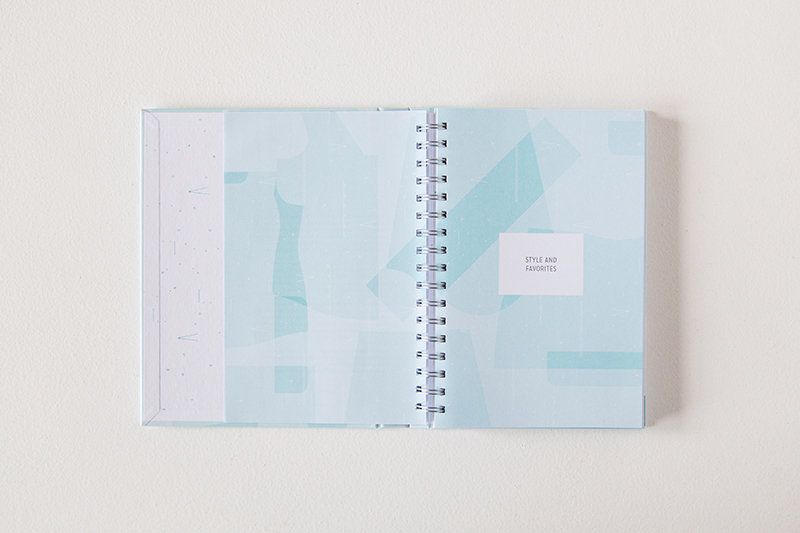 After you complete your planner, you’ll have an essential visual representation of your sewing for the whole year. Then you can easily flip through your favorite projects, fitting hacks, and inspiration for years to come. Oh my gosh. I ❤️ This sew much. I would use it for my own sewing, school productions, clients. But to get it in Australia will be AUD$75! It would be great if you could consider doing it as a PDF, like your patterns that we can print & put in our own folder. 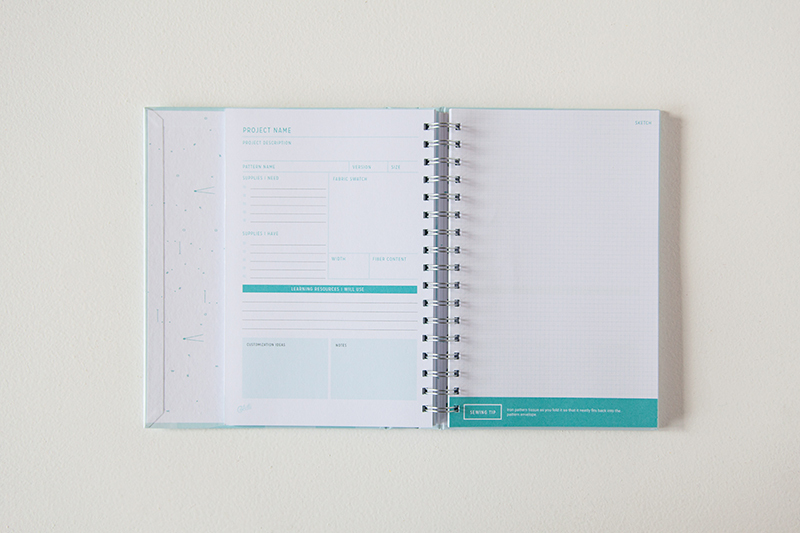 One of our favorite Australian stores will have the planner in stock really soon! You can pre-order now at Stitch 56. Agree with some here, it would be great to have a pdf, or more stores in Europe, Australia, etcetra, selling it. Shipping makes this so expensive, the one UK store already sold out. All in all: would love to use one! The planners are still making their way to stores, especially in Europe. We didn’t have as much time for shops to order in advance this time around, but they will be getting them soon! Thanks for your feedback about the PDF as well! It’s not something we can do for this version, but it’s a great idea for the future. I love this! Is it refillable? Unfortunately, it’s not refillable. That is a great idea, though! I would love a PDF version I could buy as I can put it in my planner! Wonderful item and I’ve already ordered one direct from Colette. However I must agree with those above, the cost in Australia is extrordinary! Buying it locally costs the same as having it shipped from you guys (shipping from North America is always pricey) and I’ve just figured out that it would have been $15 less expensive (after shipping) to have ordered it from your UK supplier. Rant over. I can’t wait to get mine! I know that the UK has better postal rates than the US, but that’s interesting to hear it is cheaper to ship internationally from the UK as well. Sorry about the high postal costs, and I can’t wait to see what you plan with your planner! I’d love a PDF of this to put in my Kikki K planner. 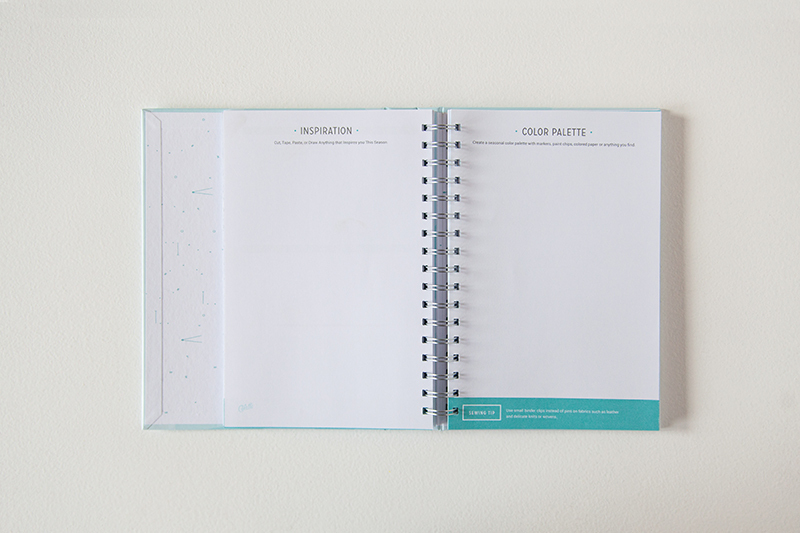 I know that you probably won’t want to undercut your print run, but have a look at the planner community – I know I’ve spent a fortune on printables for my a5 planners and I’m sure others would like to use it with their existing binders too! Thanks for the feedback, Jen. It is really helpful! I know our postal costs are pretty outrageous, even here within the states. We’ll definitely look into it. I would love a PDF version as well, and I’m in the uk. When I do a currency conversion to Dollars, the planner is cheaper to buy in the US, than it is in Pounds, here in the U.K.